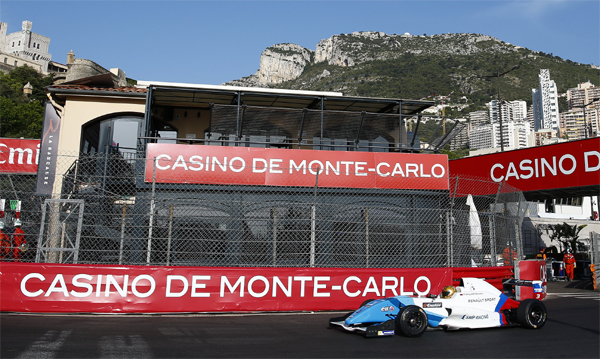 Free Practice: For the first time the Formula Renault 2.0 Eurocup drove in the streets of Monaco. A totally new experience for all drivers. Robert Shwartzman finished the session on P 16. 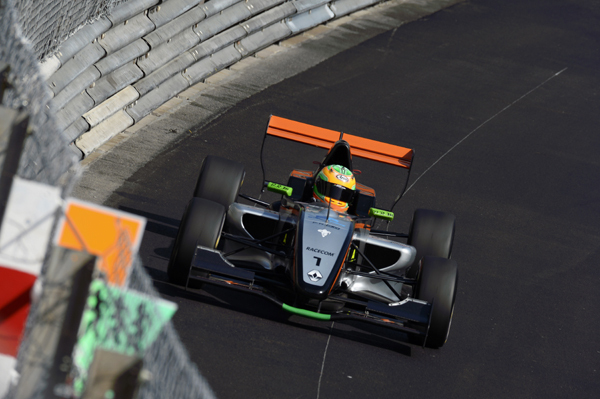 Jehan Daruvala was a constant front runner and finished on P 8. Lando Norris had all under control and was the fastet at the end of the session - P 1. Qualifying: The qualifying this time was held in one group for all drivers - 55 minutes long. Robert Shwartzman was able to qualify on P 15. Jehan Daruvala was again running on the top spots but in the end dropped back a bit on P 6. Lando Norris was the driver of the session. From the first minute onwards the young british driver was dominating the Qualifying. With a few clean laps he was able to secure the Pole-Position. A few hours after the Qualiying all lap times of Norris got cancelled, as his car wasn´t conform with the technical rules. The reason was a 1mm too big punch screw in the rear anti roll bar. The Stewards declared there "was no gain in performance" but still Norris needed to start at the end of the grid. Race: The race on Sunday morning was delayed due to heavy rain. After 2 laps behind the Safety Car, the race was green flag for 3 laps and then red flagged and not re-started anymore. Norris made up a few places to P 16. 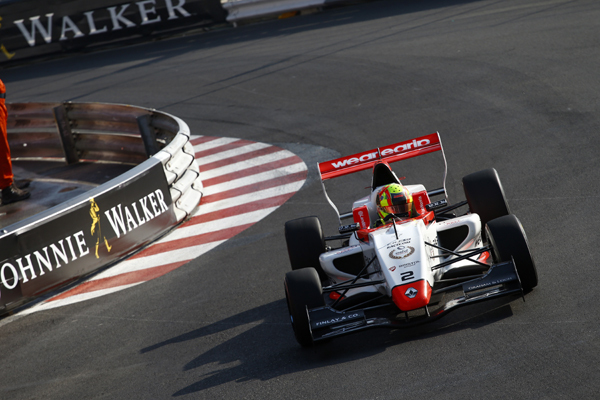 Daruvala got hit from behind in the braking zone after the tunnel and had to settle on P 15. Robert Shwartzman moved up positions to P 12. The race was awarded with half points only, due to the short distance.